Do you love Back to School time as much as I do? Even if you don’t have children old enough to be going to school, it’s the perfect time to stock up on your backpacks, lunch bottles and stationery. I love shopping the back to school ranges and picking up items for my birthday party stash for the rest of the year (I counted that we went to over 20 kids birthday parties last year!). You can never go wrong with Smiggle items and now is the perfect time to stock up. Smiggle has back to school covered with a range of colourful essentials that are bound to make school a whole lot of fun. Want to go back with something no one else has seen before? You’ll find it at Smiggle! Check out just some of the wide range of goodies and gadgets released especially for back to school! 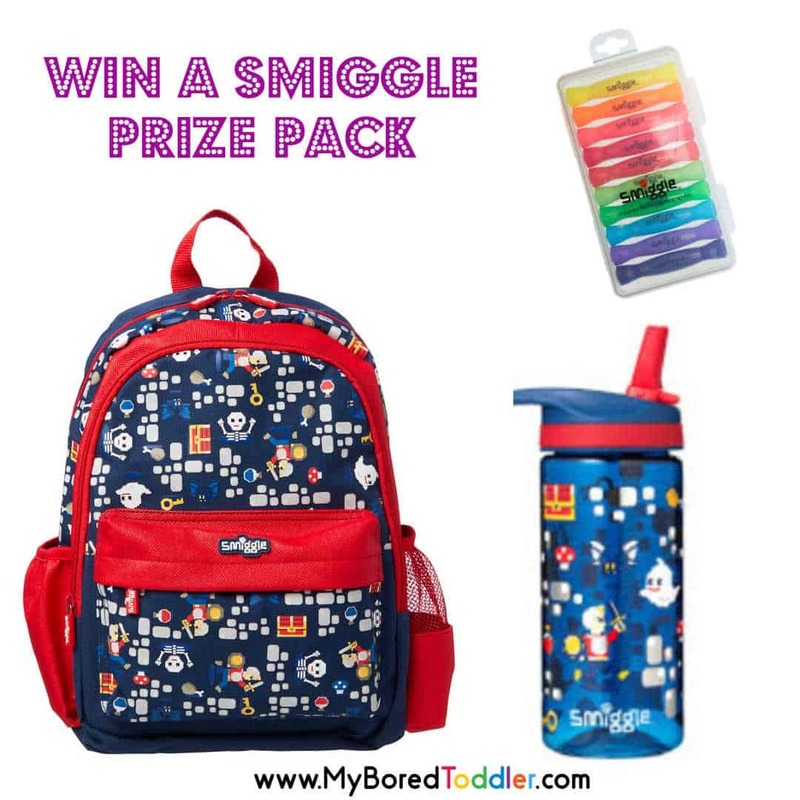 The lovely people at Smiggle sent us a back to school pack to review that is just perfect for toddlers starting Kindy or going back to daycare. We’ve been using these since before Christmas and are very impressed. 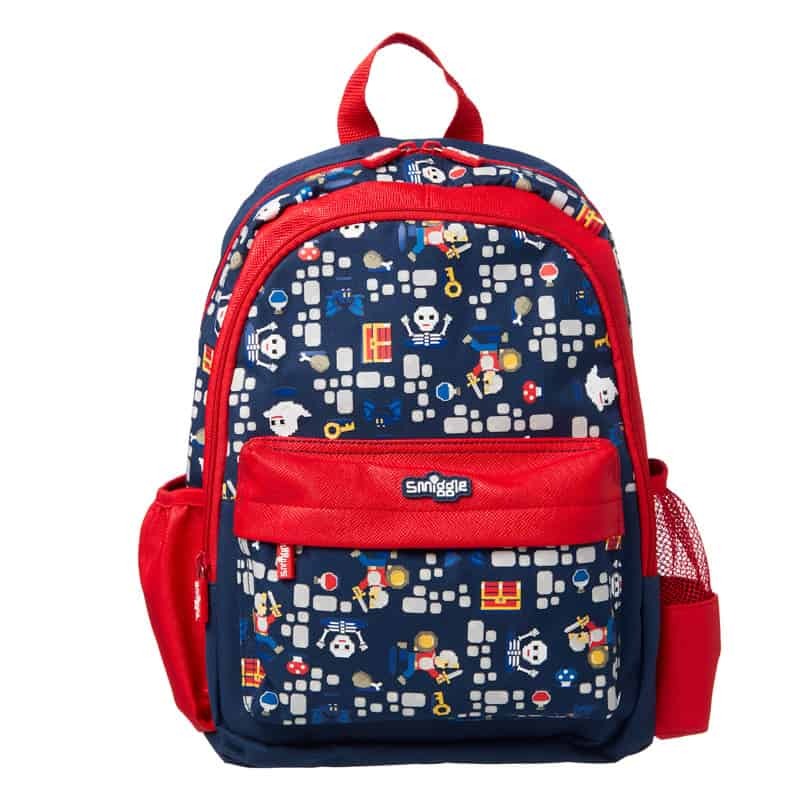 The backpack is a great size (not too big) for younger children and it’s handled a lot of days out, a lot of mess and was nice and easy to clean. The matching drink bottle makes it a lovely gift set if you’re looking for a nice present too. To enter all you need to do is comment on THIS Instagram post telling us in 25 words or less why your child would love this prize. Entries close January 22nd and the winner will be notified via email within 24 hours.